Moms (and Grandmothers), why is it so hard to find your Mother of the Bride (MOB) or Mother of the Groom (MOG) outfit? Does the Bride have a specific color in mind for you? 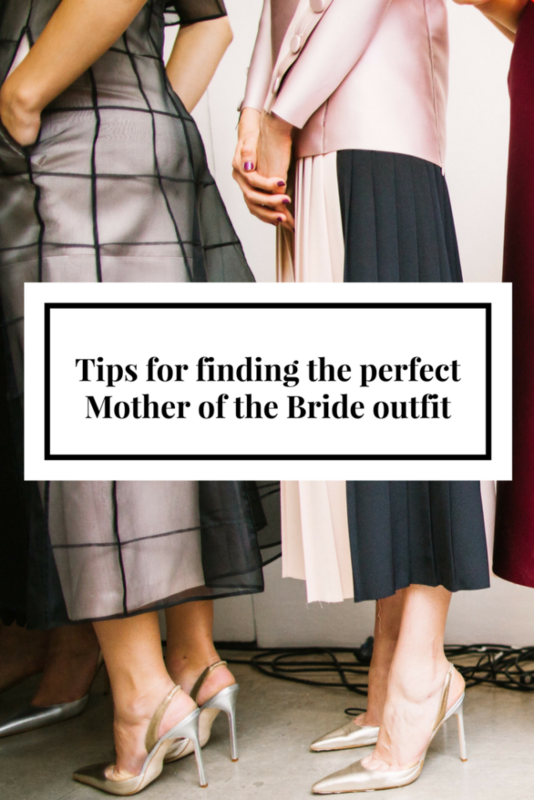 Some brides like to have the Mothers (MOB/MOG) match or coordinate with the Bridesmaids. Be sure to ask the bride (gently) if she has any color or style preferences for your dress. Gauge how controlling she is with the bridesmaids to get a better idea of her attitude on your outfit. Any colors that the Bride deems off-limit? 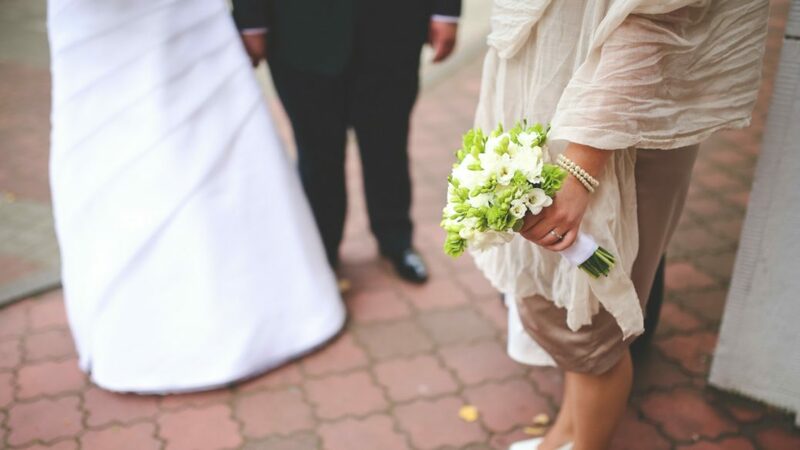 Even if the bride does not dictate a specific color, she may want you to avoid specific colors. Consider how your color choice will look with the wedding party overall. When in doubt, neutral colors are a great choice for MOB/MOG. If the Bridesmaids are in blue, then pewter and grey look fantastic! Metallic neutrals like pewter, copper, matte gold, and matte silver (avoid the disco ball look) coordinate well in most situations without washing you out with traditional dusty rose and powder blues. Typically, the MOB/MOG should match the length of the bridesmaids dresses. 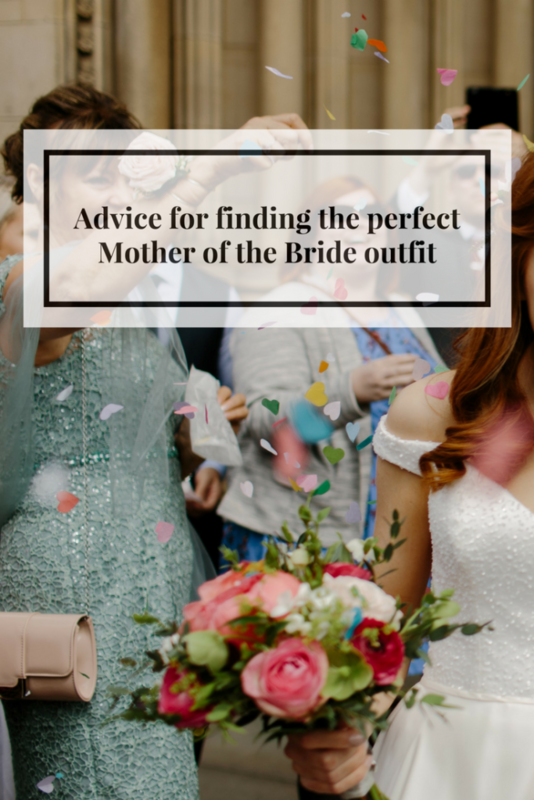 Obviously, if the bridesmaids are wearing mini skirts, then you have the option to match with an above the knee skirt or a more conservative knee length, midi/tea length, or you can choose a full length dress (because you are the Mom, that’s why). If the Bridesmaids are in full length gowns, then your dress should be floor length, too. A dressy pant suit is always a good alternative if you do not find the right dress, or just prefer pants. 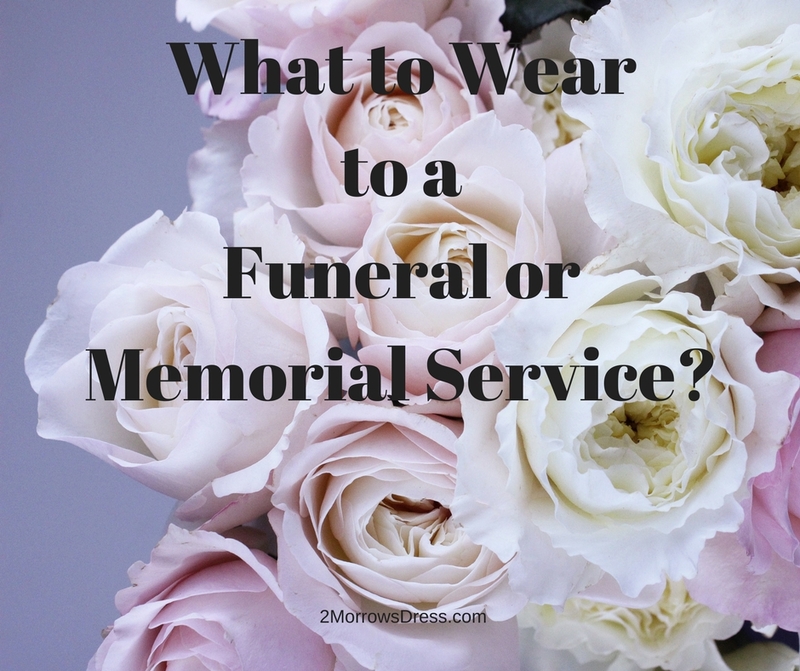 Cover up with sleeves, jacket, or shawl wrap? Many Moms choose to cover their arms, or shoulders for a variety of reasons including modesty or temperature control. There are great options for short sleeves, long sleeves, separate matching jacket, or accessorize with a shawl or pashmina wrap. Consider time of the year for the wedding, and venue (indoor with AC, or outside) when selecting your sleeve options. I am a big fan of neutrals, especially when it comes to shoes. Consider the terrain of the wedding ceremony, as well as the reception when selecting your shoes. Do you need to walk across grass, gravel, or other unpaved options? Will you be climbing steps? Confirm the ceremony and reception layout with the bride & groom before final selection of shoes. Those adorable kitten heels may be a bad idea when you are crossing the stone paths out to the picturesque waterfall for group photos. Closed toe, ankle strap heels in a comfortable heel height are my favorite for Moms. Make sure that you can easily walk around and dance. Consider packing a pair of flats that you can change into later if you are worried about your feet hurting during the reception. Above all, make sure that you can sit, enter & exit the car (or other transportation options), it is season appropriate, and that you are comfortable in your outfit!